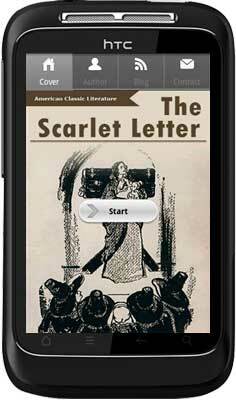 Nathaniel Hawthorne wrote The Scarlet Letter an 1850 romantic work of fiction in a historical setting. It is regarded to be this writer’s magnum opus. 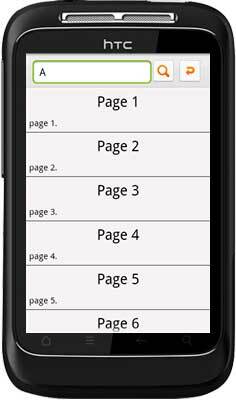 Now we convert it to Android app for android readers flipping on the mobile devices. 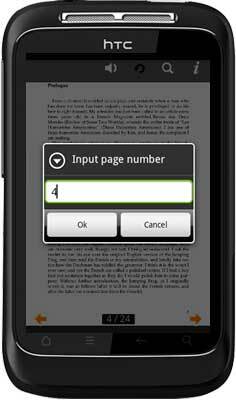 You can install it on Android as simple as others apps and then flipping like life-like paper-book. 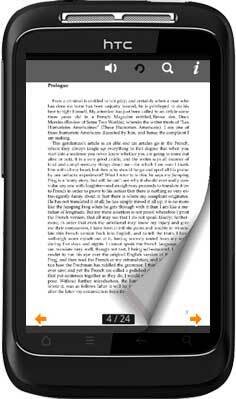 This is a practical portable digital book allows you read at any place and spare time. You can kill time and at the same time learn famous work. 1. The standard cover of The Scarlet Letter. 2. The inner page flipping effect. 3. The search interface, you can quick search specific content. 4. Click the bottom page number area to open then "Input page number" window.